We invite you to watch an inspirational short film ‘Our world is round’ which chronicles a group of sporting hopefuls in the early stages of their development. 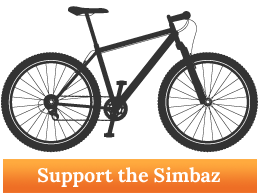 Join the Safari Simbaz’s +page and follow them as they open up their lives and continue to share their story online. Absolutely beautiful and well put together! This will definitely resonate with and captivate the imagination and enthusiasm of a wider audience. Great stuff!! Keep it up Simbaz!! !